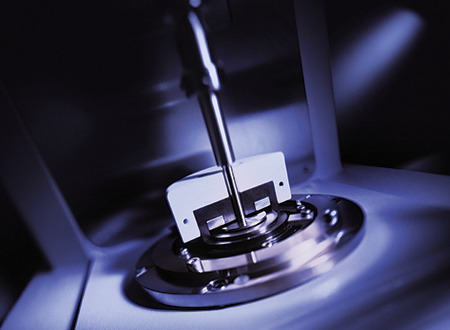 The Magneto-Rheological Device (MRD) is used to investigate the influence of a magnetic field on magnetorheological fluids (MRF). The applied magnetic flux density of up to 1 Tesla is controlled by the rheometer software and can be adjusted according to requirements. In addition, a Hall and a temperature sensor allow online measurements of the actual magnetic flux density and temperature. 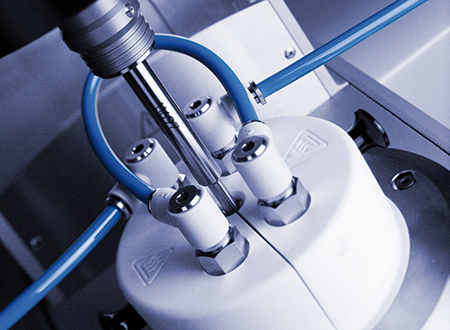 For high-shear measurements, the TwinGap system (exclusive license from BASF) can be applied.